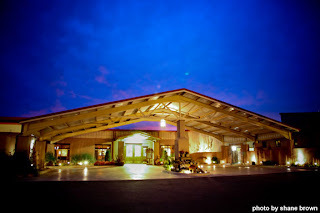 We had been hearing about the unique hideaway called the Canebrake for years. I decided Jackie's birthday would be the perfect occasion to get out of town to sample their gourmet menu and spend the night in a cabin in the woods. 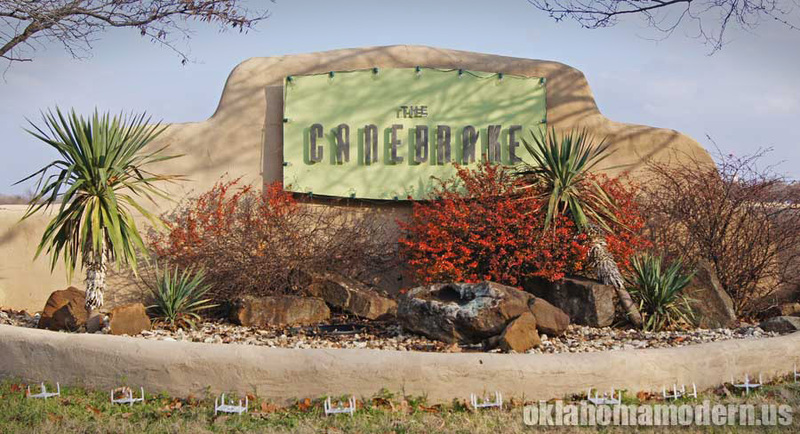 The Canebrake is located just east of Wagoner, OK on a peninsula overlooking Fort Gibson Lake. It's miles away from the city lights so it's a great place to "get away from it all." 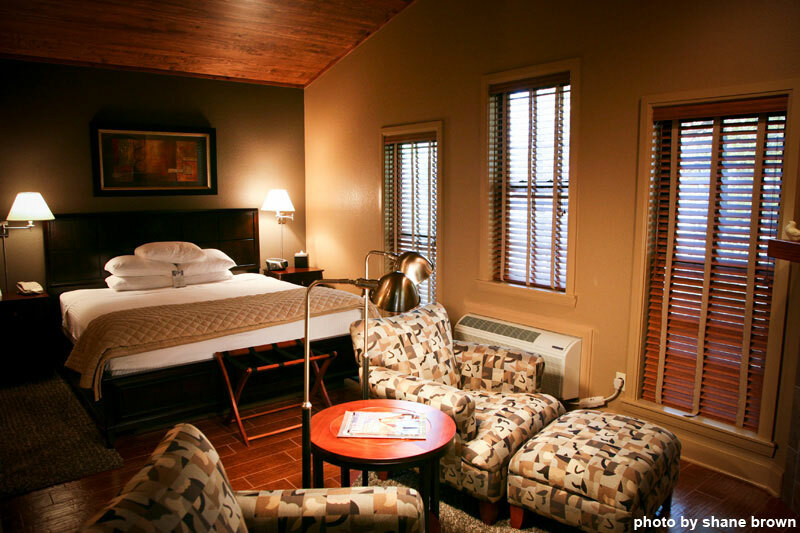 The folks at the Canebrake offer some unique amenities that set them apart from your typical hideaway. 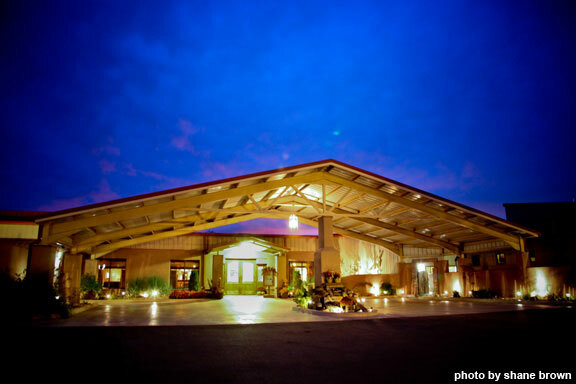 The ropes challenge course, spa facilities and yoga classes have made it a popular venue for corporate retreats. Live jazz and an award-winning restaurant make it a hit with casual diners. 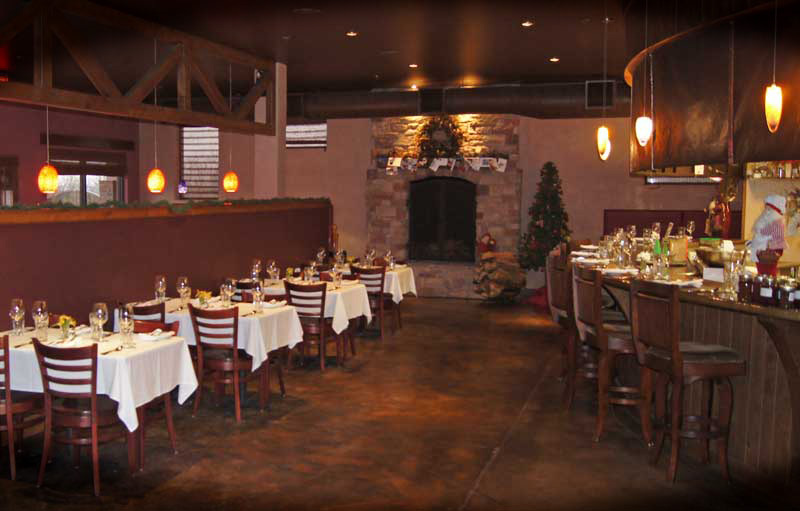 The building and decor have a distinctive Southwest feel, but more modern. 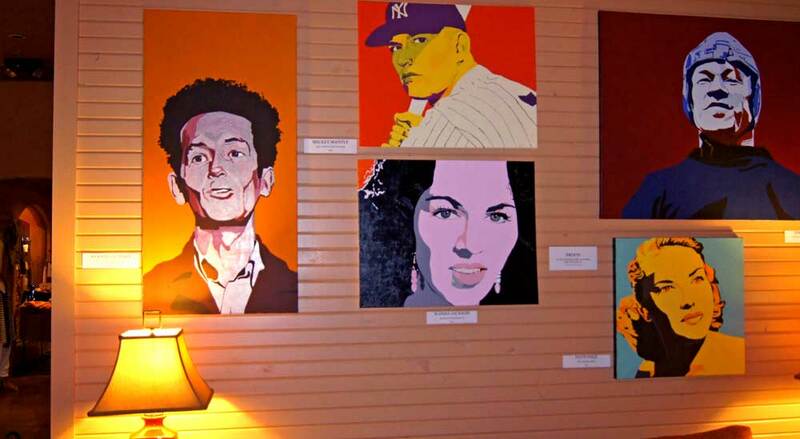 Instead of cow skulls and Indian blankets the lobby features works by local artists. 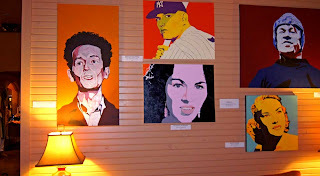 The Oklahoma-centric paintings of Jack Fowler were on display when we visited. 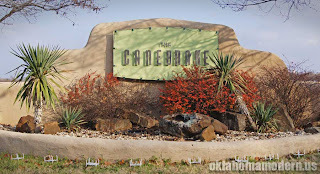 Dining at the Canebrake was a treat. They're well known for their Sunday brunch, but we were quite happy with their dinner service. 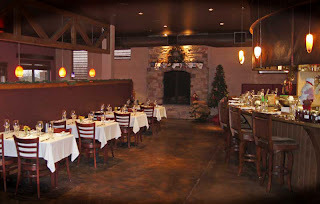 The menu offers a great variety of small and large plates plus an excellent selection of wines. And beer drinkers can enjoy several regional brews. Since the kitchen staff actually prepares each dish it's no problem for them to accommodate special requests. There are several vegetarian options on the menu, and they were more than happy to make Jackie a vegan version. We lingered over dinner nearly two hours before retiring to our room. The next morning we trotted down to the Yoga Barn (yes, it's really called that). Jackie has taken a couple of classes, but this was my first yoga experience. A bum knee kept me from fully participating, but we had a wonderful time. The heated cork flooring was a special treat since it was a chilly December morning. Guests are encouraged to participate and the Barn is fully equipped with all the accoutrements. 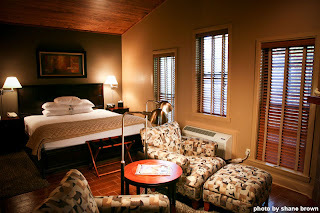 We ended our getaway with another cup of coffee and thanked the staff for their attention and a wonderful stay. Getting another year older may be inevitable, but gems like the Canebrake almost make it worth it. For more information visit thecanebrake.com. My husband and I have been meaning to make it over there. Thanks for this reminder and great pics. I love the idea of yoga barn. What fun.